Fast rising European star Eva Green signs to play the female lead in Last Word (working title), the new feature marking the reunion between director David Mackenzie and actor Ewan McGregor. Mackenzie and McGregor last collaborated on the steamy 2003 drama Young Adam. The new film, which is being sold worldwide by TrustNordisk, also showcases Danish star Connie Nielsen, Trainspotting veteran Ewan Bremner and respected stage and screen actor Stephen Dillane. Scripted by Kim Fupz Aakeson, Last Word is a story about two people who fall in love as the world begins to fall apart. Shooting began this month in Glasgow. The producers are Gillian Berrie and Malte Grunert. The film is a coproduction between BBC Films, Scottish Screen, Irish Film Board, Zentropa, Papkassen, Danish Film Institute and Filmivast. 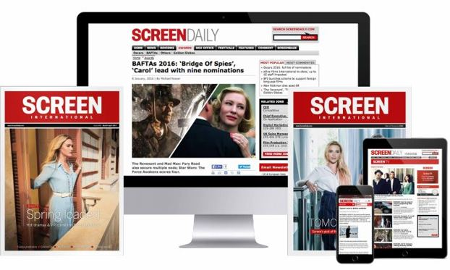 Funders are BBC Films, Scottish Screen, Irish Film Board, Zentropa, Papkassen, Danish Film Institute and Filmivast. Scottish star Ewan McGregor, currently winning plaudits for his performance in Angels & Demons, will team up with director David Mackenzie on the forthcoming film, The Last Word.